It is common knowledge that carrying too much weight is not good for our health. Lung problems, diabetes, heart attacks, and stroke may occur because of improper diet. Pets can also suffer similar health problems if they eat too much. 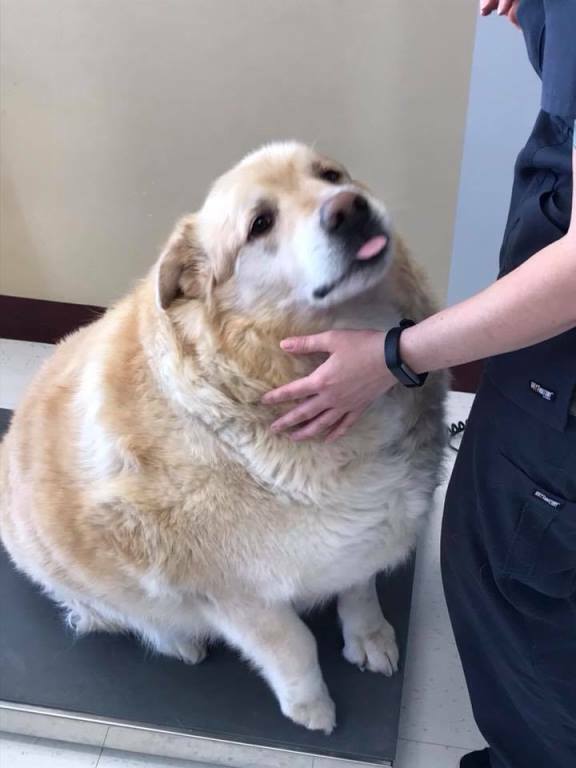 But when this particular pooch became obese and reached 173 pounds, his owners decided to put him down. 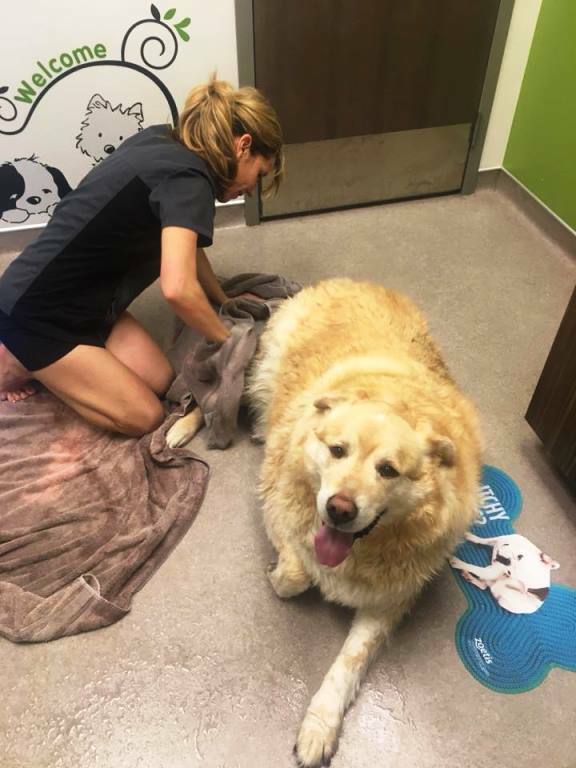 Fortunately, a kindhearted vet decided to give the dog another chance at life and the new owner did everything she could to help him lose weight. 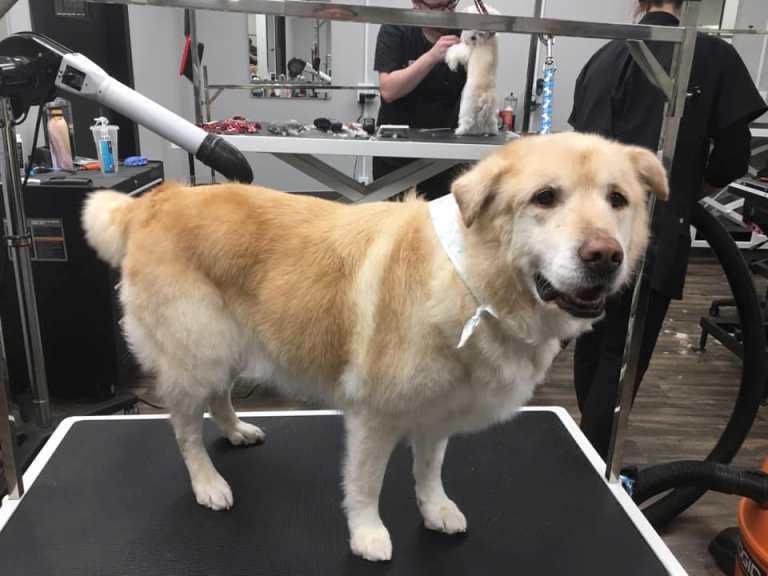 According to his previous owners, the lab-retriever mix dog named Kai was so huge that he couldn’t move so they left him at a kill shelter. 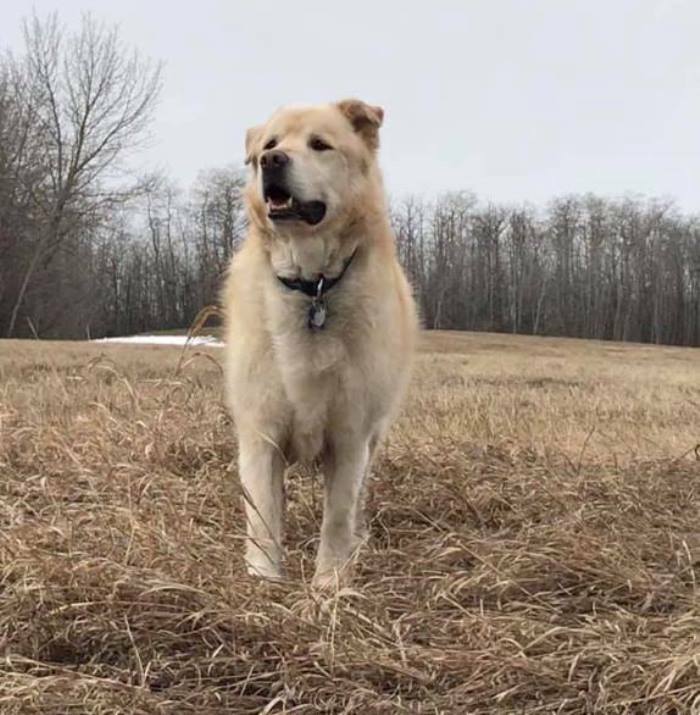 However, clinic employees do not want to end the precious life of the pooch so they contacted Pam Heggie at The Misfits of Alberta Animal Rescue. She then took Kai and helped him lose weight. “He was just so heavy,” she shared. “Everything was work. Heggie put Kai on a strict diet and gave him exercises. She also got him on an underwater treadmill and they worked out around a park. Over the span of six months, an amazing change happened. 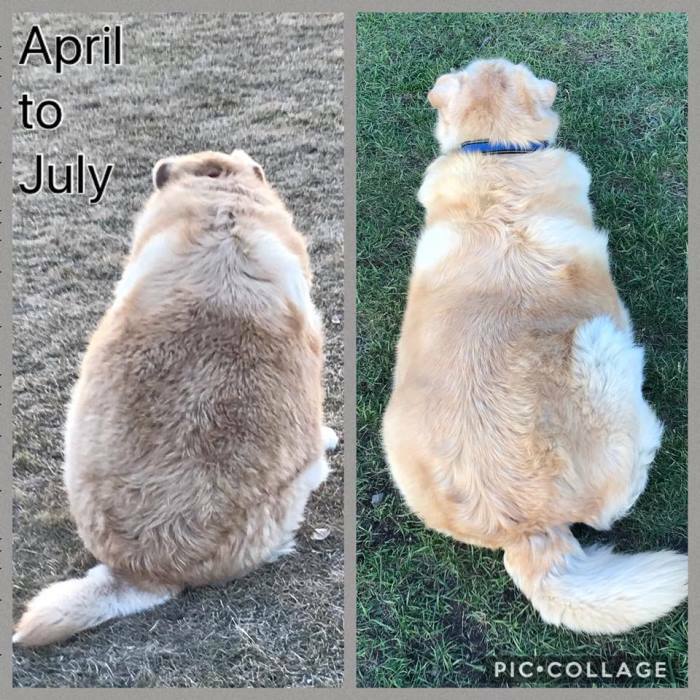 Kai’s weight dropped off and he lost 100 pounds! What are your thoughts on this? Let us know in the comments section and SHARE this wonderful story with your family and friends!